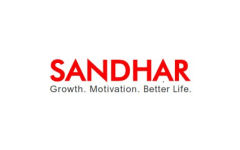 Business description - Sandhar Technologies is the leader in the two-wheeler locking systems market, and the commercial vehicle rear view market in India, and is one of the two largest companies catering to the commercial vehicle locking systems market, and the two-wheeler rear view market in India. It is also one of the two largest manufacturers of operator cabins in India, along with being the largest player in the excavator cabins market. Our business involves designing and manufacturing a diverse range of automotive components, parts and systems, driven by technology, process, people and governance. Sandhar Technologies’ customer portfolio consists of 79 Indian and global OEMs across various segments. The company manufactures its products from 29 manufacturing facilities across eight states in India, two manufacturing facilities in Spain, and one manufacturing facility in Mexico. Sandhar Technologies IPO allotment status is now available on Link Intime's website. Click on this link to get allotment status. Loan repaymnt is a good sign Dhaval bhai. I think what we need to pay forward to is if the company is a good business and is making good use of money or not. I like this company, asking PE ratio is little high but overall good! Worth applying IMO!! Strong profits but asking price too high. Doesn’t make sense to buy at thse prices when others are available at better rates.